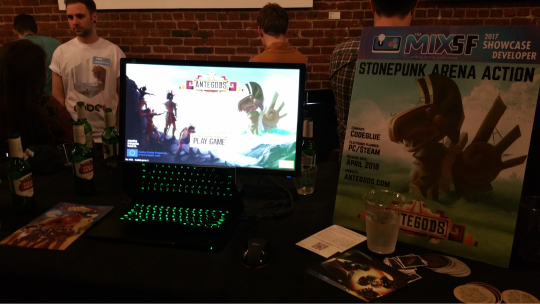 As we continue working hard to make our stonepunk arena action game Antegods a reality, you can stay up to date on our development process with regular blog posts from our design, art and code team. This time, Game Designer Wytze will share his experience on traveling to the Game Developers Conference in San Francisco a couple of weeks ago to promote Antegods the best possible way. Hi! So a couple weeks ago I went to the GDC in San Francisco. It’s the world’s largest conference for game developers and people from across the globe come to attend. This year I was sent on my own to promote the ongoing Antegods crowdfunding campaign on Fig. Quite a responsibility! Usually when visiting GDC you arrive Saturday before the event and leave the Saturday or Sunday after the event. This year, because the Fig campaign would start the week after, I was only staying until Thursday during GDC. I also only went to events outside the conference itself, because the expo floor doesn’t open until Wednesday, my last day. We were selected to showcase Antegods at The MIX (short for Media Indie Exchange) on Monday evening. At the MIX independent game developers show their games to a lot of important media and industry figures. I was there to show Antegods with help from Charlotte Madelon (creator of Lily). 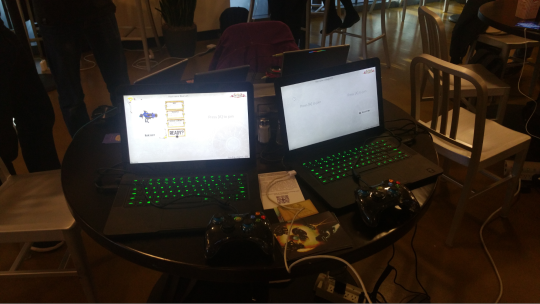 The event was very busy and I got to show the game to some great people, who were all very positive about the game. The next event was the European Game Showcase, which is similar to the MIX but smaller in scale. The event lasted for about 4 hours, and during this time a nice number of media and industry professionals came by. Again, people really enjoyed playing the game and a few of them got pretty competitive. The last business-related event was the Annual Fig Happy Hour at Fig’s own office. I got an invite because of our (then upcoming) crowdfunding campaign on the platform. Antegods was set up on a television in their conference room. The event was very relaxed and it was great to meet the awesome people behind Fig and their friends. Overall the events were a blast; great opportunities to show Antegods and meet new people. A heartfelt thanks to the organizers of The MIX, the European Game Showcase and the Annual Fig Happy Hour! Now GDC isn’t all about business, it’s also about having fun! 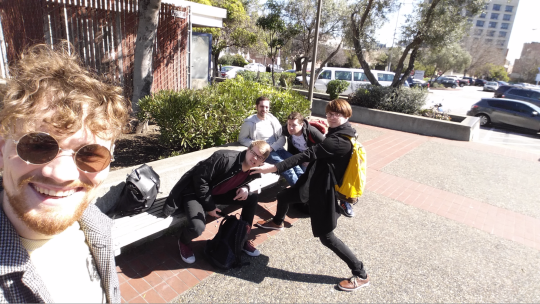 The Sundays are usually quite slow, so we went over to Oakland, which is beautiful by the way, and had a BBQ and house party with a great group of indie developers. During the afternoons I spent my time in between meetings enjoying the sun in Jerba Buena park (next to the conference center) to see old friends and meet new ones. Finally Wednesday night I closed off my GDC visit with my favorite party: That Party, organized by Venus Patrol and Juegos Rancheros every year. It offers a combination of going wild on the dance floor, playing weird indie games and talking to people. It was an awesome ending to my shorter-than-usual GDC trip! Monday afternoon a group of developers including myself went to Devolver Underground, a showcase of games and hang-out with free food and drinks organized by Devolver Digital. I definitely recommend checking it out next year! On Tuesday evening I had some great conversations at the Humble party, and finished the night by dancing at the chip tune party Pow x6.